Feeling peckish ? You can eat whenever you fancy at the Récré. The snack bar serves sandwiches, chips, steak, sausages, cheeseburgers as well as desserts. 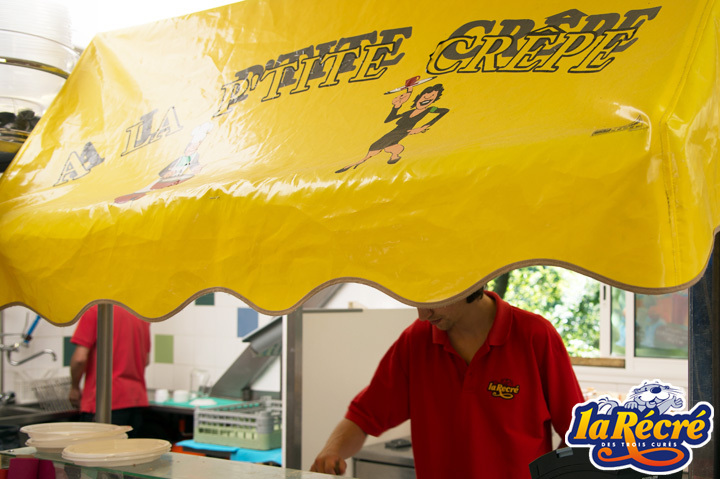 In the same area, the Petite Crêpe serves sweet and savoury pancakes throughout the day. Or if you prefer, waffles with cream, donuts, ice-creams and cakes… there’s something for everyone. Group bookings : if you have not booked in advance, we will deal with admissions on your arrival. This offer includes admission to the park + lunch. If there are 10 or more of you, it is advisable to book a table. We have separate dining rooms for groups, for 20 to 150 people. Whether you are here for business, a seminar, with friends or family, we offer a range of menus for all budgets. If you have not booked in advance, we will deal with admissions on your arrival. This offer includes admission to the park + lunch. If there are 15 or more of you, it is advisable to book a table. The snack-bar is located near the Aquatico and Niagara attractions. It is open in the summer only from midday and offers a large choice of sandwiches and paninis as well as sausages cooked on the barbecue before your eyes. Those with a sweet tooth will not be disappointed as there are plenty of desserts, snacks and numerous flavours of ice-cream… The question is, which flavour will you choose ? 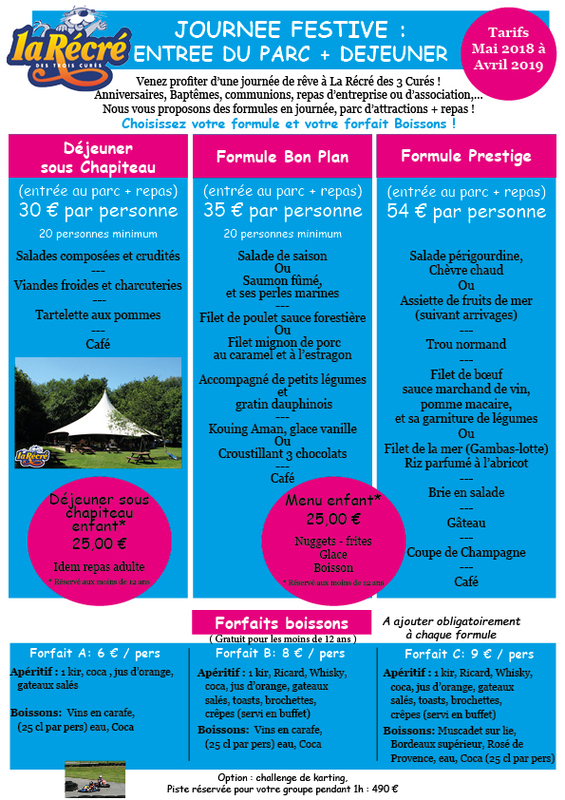 If you have a sweet tooth, then the Cabane à Toto is the place to go ! Open in the summer only, this shop sells sandwiches, sweet and savoury pancakes as well as « chichi » donuts, pick and mix sweets and our famous whippy ice-creams and scoops in dozens of flavours. You can buy hot and cold drinks, snacks, ice-creams and sweets in various places around the park. So you can treat yourself whenever it takes your fancy !